ANOTHER STRIPPED FLIPPED ELECTION? We’re joined by my election theft co-author BOB FITRAKIS to sort through the rubble of the 2016 election. For the sixth time in US history, the ELECTORAL COLLEGE has allowed the losing candidate to become president. It worked for George W. Bush in 2000 and now it will work for Donald Trump. Once again exit polls show the alleged loser, this time Hillary Clinton, being in fact the likely victory. But most importantly we see the likelihood that the stripping of voter rolls rendered more than enough voters ineligible to have shifted the final outcome. as we try to make sense of how to live and make change in a country ruled by a system that nowhere nearly represents a democracy. For the sixth time in our history, a candidate for President of the United States may have won the popular vote and lost the White House. While the nation—and much of the world—shudders at the thought of a Donald Trump presidency, our electoral system has once again failed to deliver a formal victory to the person who got the most votes. But Donald Trump’s Electoral College tally has exceeded the 270 Electoral College votes needed to take the White House. There is much more to tell about this. This year’s vote has once again been stripped and flipped by GOP Jim Crow segregationist tactics that disenfranchised millions of primarily African-American and Hispanic citizens. But if the current vote tallies continue roughly they way they are, Donald Trump will join Thomas Jefferson, John Quincy Adams, Rutherford B. Hayes, Benjamin Harrison, and George W. Bush as presidents who lost the popular vote but still took the nation’s highest office, in every case with huge impacts. The Electoral College was established at the 1787 Constitutional Convention to prevent the public from voting directly on our national leader. Ostensibly, it was meant in part to protect small states from being bullied by bigger ones. It also installed a “three-fifth bonus” that gave plantation owners a 60 percent headcount for their slaves. The ruse was counted into Congressional districting, giving the south a distinct advantage over the northern free states. That’s why every President from Jefferson to Lincoln either owned slaves or had a vice president who did. In 1800, Jefferson beat the incumbent John Adams in an Electoral College swung by “bonus votes” that came from slaves who could not actually cast them. In 1824, John Quincy Adams made a deal with Kentucky slaveowner Henry Clay to steal the presidency from Andrew Jackson, who had beaten Adams by about 50,000 popular votes. In 1876, Republican Rutherford B. Hayes lost to Democrat Samuel Tilden by about 250,000 votes. But the GOP used federal troops in the south to shift enough Electoral College votes to create a deadlock. Hayes then became president by agreeing to remove those troops and end Reconstruction, a catastrophe for southern blacks and a triumph for the Jim Crow segregation that has defined our national politics ever since. In 1888, Republican Benjamin Harrison lost the popular vote to incumbent Democrat Grover Cleveland but became president anyway. Cleveland won back the White House in 1892. In 2000, Democrat Al Gore beat Republican George W. Bush by a nationwide tally of about 500,000 votes. Gore was also ultimately shown to have won the popular vote in Florida. But Bush’s brother Jeb, then governor of Florida, used a computerized system to remove voters from the rolls, to steal Florida’s electoral votes and put George in the White House. 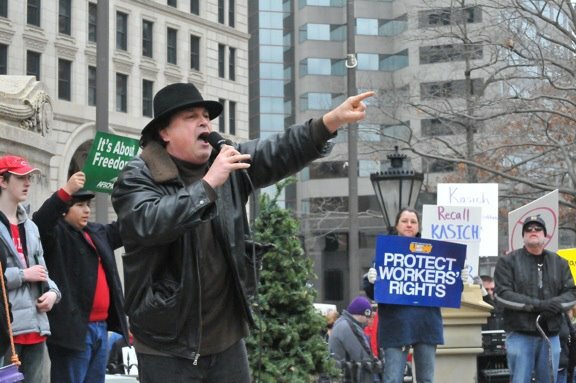 Much the same was done in Ohio 2004 to defeat John Kerry. Bush ultimately was credited with a victory in the nationwide popular vote. This year, Donald Trump’s Electoral College victory will change history in unimaginable ways. But nationwide it appears he did not win the popular vote. Hillary Clinton did. There is much more to this story. But one thing is clear: There is no useful function for the Electoral College, a vile 230-year-old holdover from the bad old days of the southern slaveocracy. It poisons our electoral process. It will require a Constitutional Amendment to get rid of it. But if we are to have anything that resembles a democracy, the Electoral College must be abolished. Bob Fitrakis and Harvey Wasserman are co-authors of The Strip & Flip Selection of 2016: Five Jim Crows & Electronic Election Theft (www.freepress.org / www.solartopia.org) and six other books on election protection. Bob interviews Mark Stansbery, a friend and coach of Tyre King and they discuss the boy’s life and the tragedy of his death. Project Censored has chosen Search Engine Algorithms and Electronic Voting Machines Could Swing 2016 Election as the 4th “Most Censored Story of 2016” with contributions by Free Press writers and editors Bob Fitrakis and Harvey Wasserman. 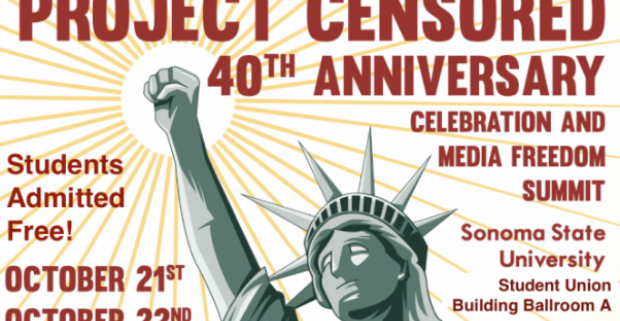 Every year for 40 years, Project Censored, located at Sonoma State University in California, has chosen the 25 most censored stories of the year. 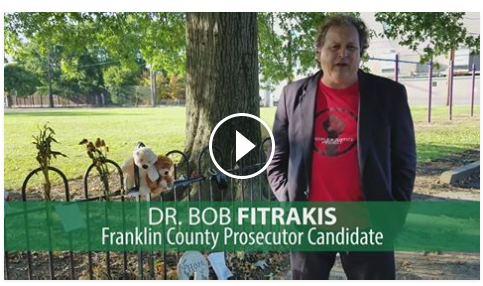 On September 14, two candidates for Franklin County Prosecutor answered questions about how they would respond to officer-involved shootings, if elected. As the candidates’ forum at Mt. Olivet Baptist Church proceeded, only one mile away 13-year-old Tyre King was pursued and shot multiple times by Columbus police. He was taken to Nationwide Children’s Hospital and pronounced dead a few minutes after the candidates’ forum ended. Adrienne Hood spoke at the beginning of the forum. Her son Henry Green was killed by Columbus police on June 6. “It’s unfortunate that the person who can give me the justice that my son deserves is not here,” she said, indicating the empty chair reserved for Ron O’Brien, the incumbent County Prosecutor candidate. O’Brien has not responded to demands by Green’s family to indict the officers who shot him and appoint an independent prosecutor to oversee the case. 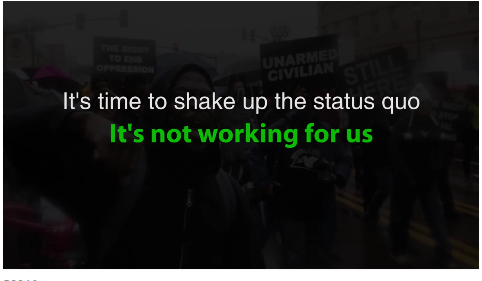 “Research shows that mass incarceration disproportionately affects low-income people, and people of color,” said Jasmine Ayres, field director for the Ohio Organizing Collaborative. 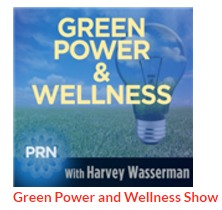 “We need more information to make evidence-based decisions on policies and practices. For example, black people in Franklin County are 3.8 times more likely to be in jail than whites. “Will I comply with the open records law? Yes,” Bob Fitrakis responded. “There needs to be full transparency. For many years, before the Free Press went after the judges, they were double-bonding people. The bondsmen were running the court until they were exposed. Zach Klein responded, “Yes, as someone who’s running for prosecutor, trying to get that information that you seek. It doesn’t exist. We should have an open, transparent system in the prosecutor’s office that uses the best practices and technology, that’s not only available, but easy to understand. “In 2014, which is the last year this data was available, there were 12,000 criminal filings in Franklin County. 190 went to trial. Think about the 11,810 cases that never went to trial, that fall squarely within the programs and opportunities that you’re talking about. But outside of knowing they didn’t go to trial, we don’t know anything about the defendants, the pleas, or the cases. “Youth should not be tried as adults. Research shows that if you send youth to adult prison, they are more likely to re-offend. They are more likely to be sexually abused,” said Candice Williams-Bethea, a grassroots educator with the People’s Justice Project. “How will you handle the practice of trying minors in adult court? And how will you use developmentally-informed decision making appropriate to youth? 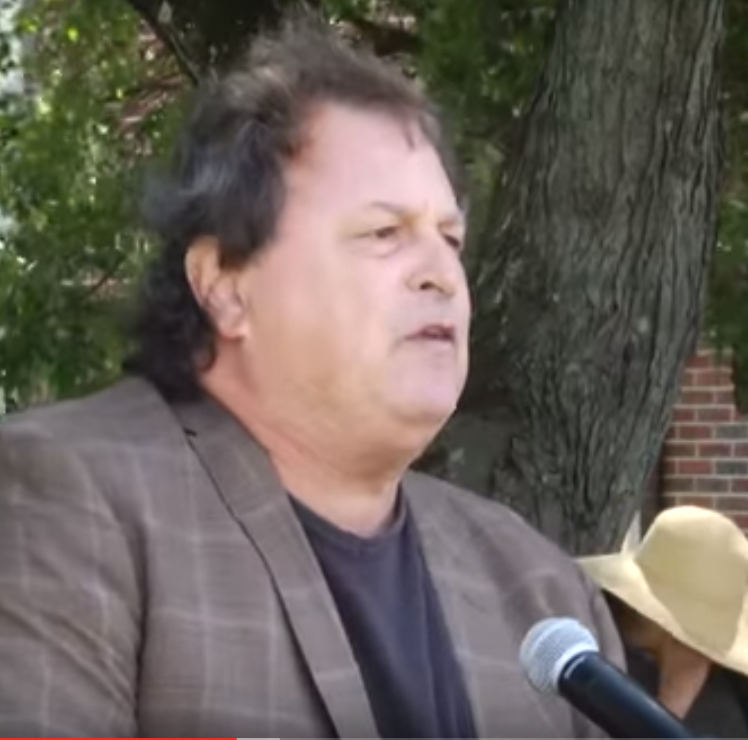 “I have no problem with an independent prosecutor,” Bob Fitrakis said. “I just don’t think it goes far enough. I believe that there needs to be an independent civilian review board, with subpoena power, that is elected from the area commissions, and that is responsible in these shooting cases. 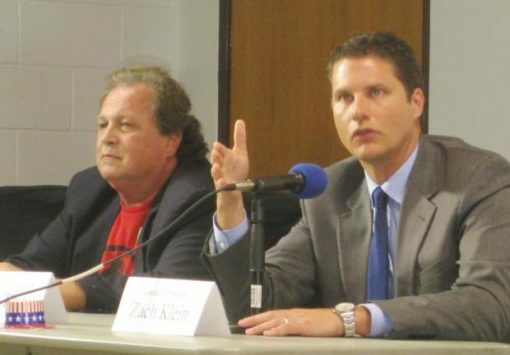 At a Columbus City Council candidates’ forum last fall, Zach Klein went on record as opposing a civilian review board with subpoena power. Both candidates agreed to meet with the groups who held the candidates forum’ 100 days after the election. For each of the questions posed, the audience applause was consistently louder and longer for Bob Fitrakis than for Zach Klein.